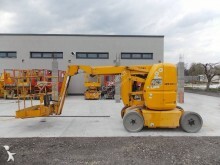 Manitou is a French group with its headquarter located in Ancenis in France. Its main activities are : the design, the manufacturing and distribution of materials made for the farming, factory and construction industries. In 2014 the company reorganised its structure by creating three distinct divisions. Thus, the "Material Handling & Access (MHA)" part is focused on the manufacturing and developping of all handling equipments for Manitou such as telescopic handlers, order pickers, transpalets or stackers. The group also designs construction materials (under the makes Gehl or Mustang) such as excavators, mini-excavators, articulated or compact loaders etc. All these materials are under the "Compact Equipement" division. Finally, the last division is called « S&S » (Services and Solutions) concentrates all the activities of the after-sale service and spare parts of construction and handling equipments from the Manitou group. Manitou is nowadays one of the biggest make for construction and handling materials, you can find all the ads from the make on Europe-construction-equipment.com. 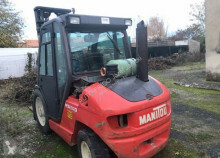 You can also find all the equipments (buckets, grabs, hammers…) as well as the used spares parts for the maintenance of your Manitou machines.